"Final Fantasy XIII Development Going Favorably For 2009 Launch"
The Japanese version of upcoming Blu-ray movie Final Fantasy VII Advent Children Complete is bundled with a demo for Final Fantasy XIII. Those wondering about the demo's length and the game's release, read on. 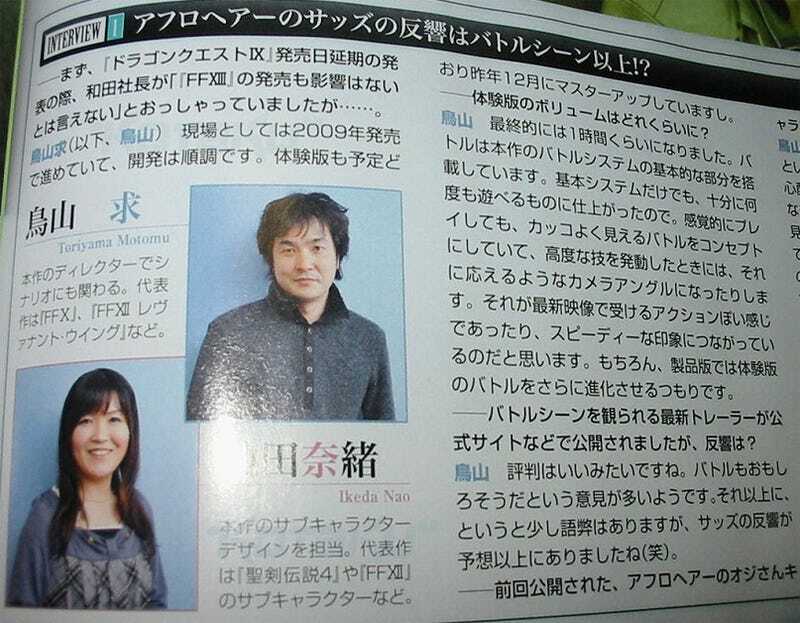 The latest issue of Famitsu reveals more information about the demo. According to an interview with FFXIII director and writer Motomu Toriyama and assistant character designer Nao Ikeda, the game is over an hour, but is structured so that players can play it repeatedly. The demo does not make it up to heroine Lighting meets bandana-wearing Snow Villiers. When Square Enix announced the delay of Dragon Quest IX, exec Yoichi Wada stated it may effect Final Fantasy XIII. When asked about this, Toriyama replied, "Development is going favorably for a 2009 launch." Square Enix: "Dragon Quest IX Delay May Affect Final Fantasy XIII"
The game has only been dated as "2009" with no specific month or day yet given.